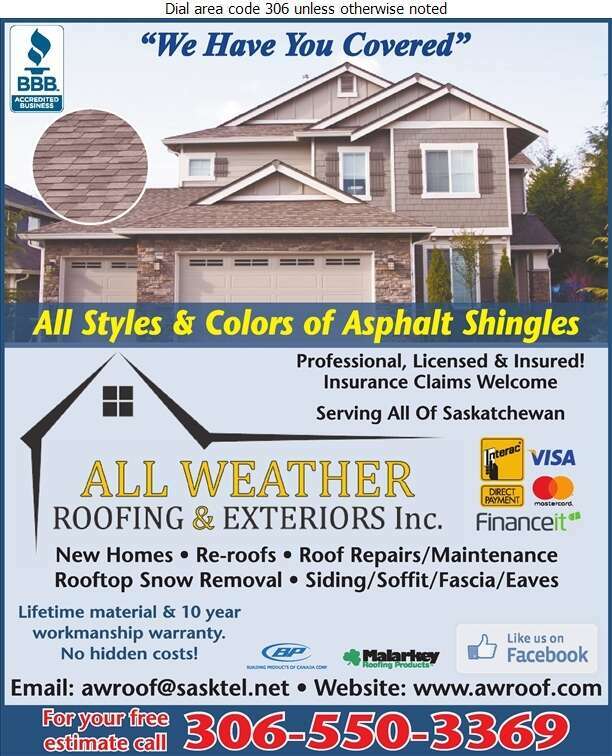 All Weather Roofing Inc. is a locally owned and operated company serving the city of Regina and surrounding area. We are dedicated to providing you with the best customer service possible. At All Weather Roofing, we want to give you as much product knowledge imaginable regarding the materials we use on the exterior and roof. That way, you can choose the most affordable way of achieving a dependable, attractive roof. With superior materials and workmanship, our team will give a quality roof. 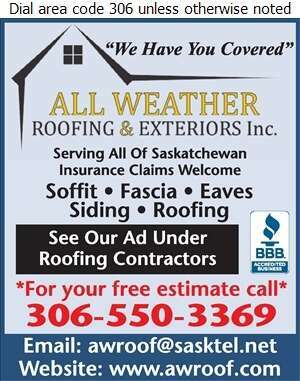 All Weather Roofing is a fully licensed and insured company. For their safety and yours, all of employees are properly trained and supervised. From initial estimate to site cleanup, be assured that the safety of our team as well as our clients will not be overlooked.